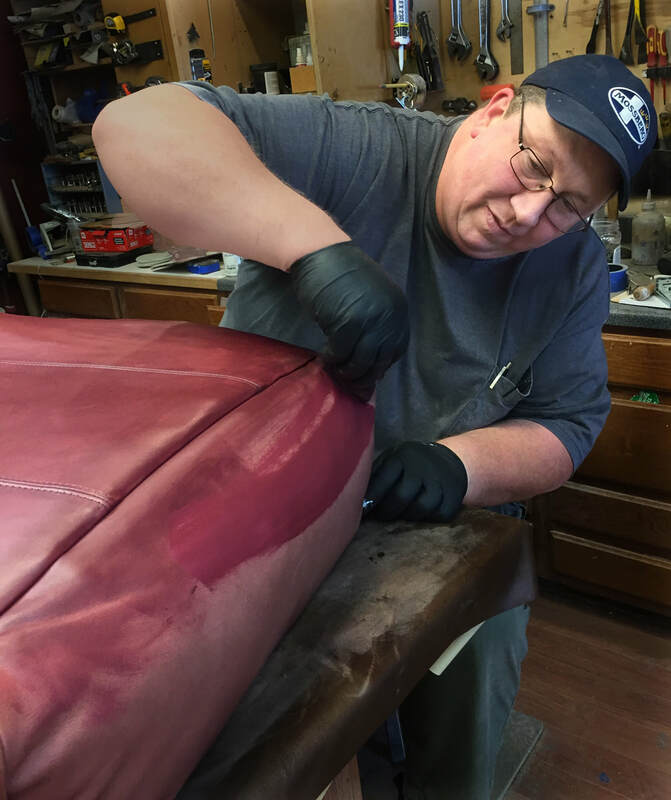 Our specialty is wooden furniture repair but there's a whole lot more we can do. Is your sofa missing a button or two? We can replace them. Need to install crown molding on your bookshelf? We can do that. 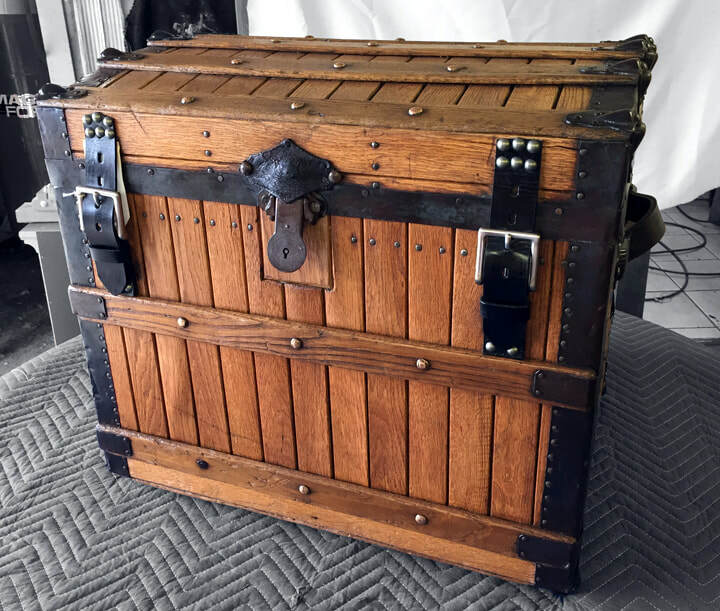 Bring your old cedar chest back to life? Yep, we can do that, too. Rebuild a treasured keepsake, new webbing for your outdoor furniture or replace casters on your chairs? ​ Not sure if we can handle your issue? Call us! 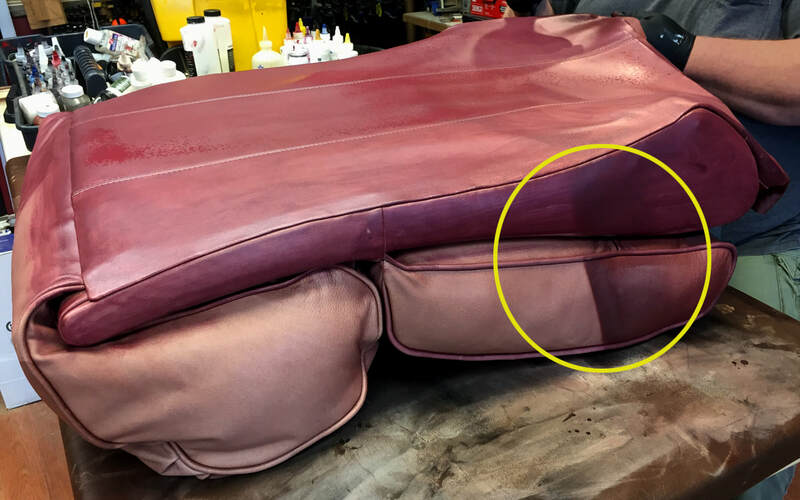 Bring new life to your faded leather with recoloring. The recliner back pictured below has been faded by the sun. Inside the yellow circle you can see a distinct demarcation between an area that is faded and an area that isn’t. Owner Dayan Mossberg bringing the color back with coloring agents. The leather remains supple, the color does not wipe off on clothing and should last 5-10 years depending on circumstances. Do you have a missing piece? 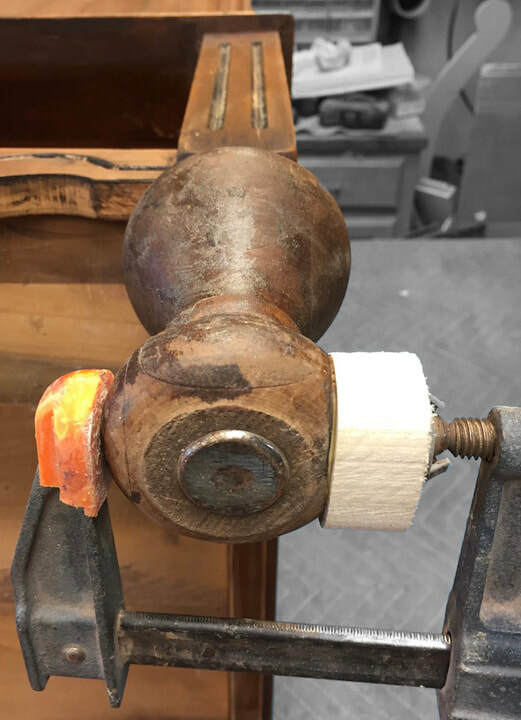 A broken spindle? We can replace missing elements with new hardwood then stain and top coat it to match the piece of furniture. For the trunk below we created two missing pieces. New wood is glued on then shaped to match. 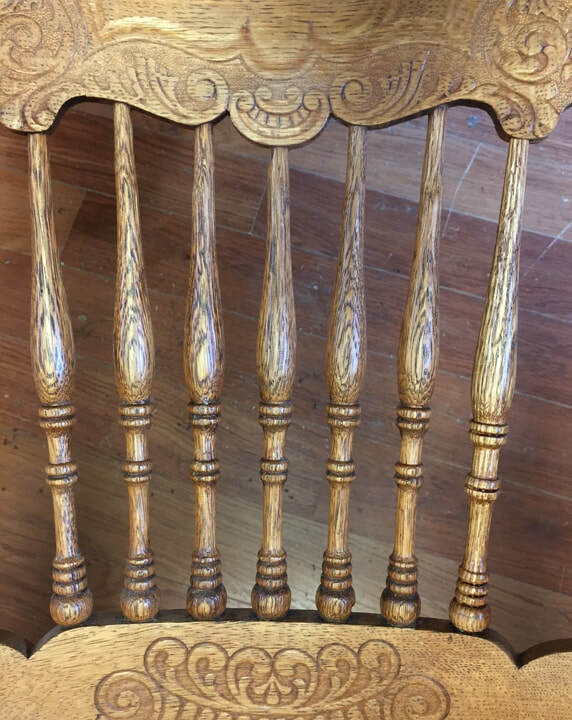 Making new spindles for chairs is a common part we fabricate. This spindle was broken but we were able to use existing pieces for reference.